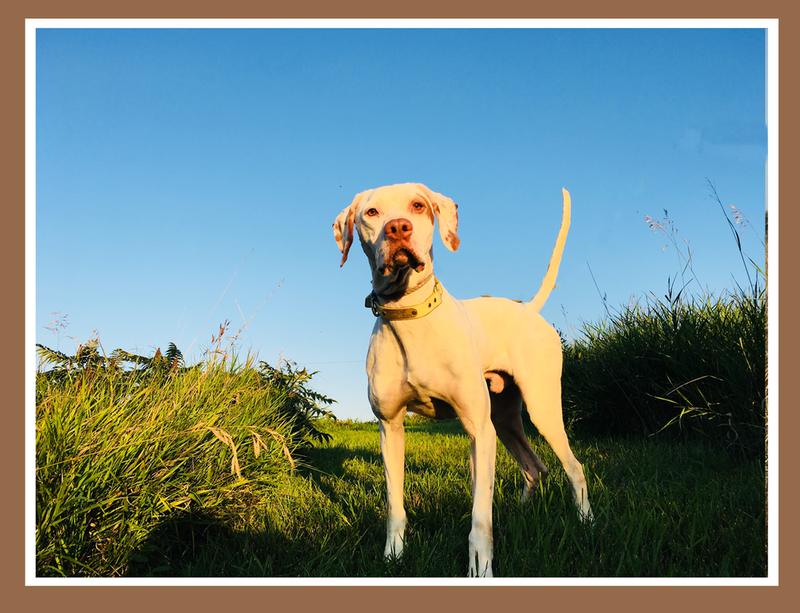 Jeb is a statuesque English Pointer, with a playful temperament. He is the perfect combination of size and stature with muscle to spare. He can’t help but catch your eye with his clean white coat and high cracking tail as he streaks across the prairie like a bolt of white lightning. Jeb qualified in American Field sponsored shooting dog trials in collaboration with professional handler Eddy Taylor. He easily ranges to 900 yards, but he is always with you. Jeb is available at stud for natural breeding.